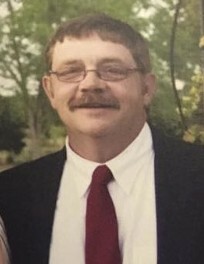 Tupelo – Mr. Scott Alan Bradley, 62, died Monday, October 29, 2018 at his residence. He was born September 10, 1956 in Lansing, Michigan, to Harold Wayne Bradley and Charlotte Bradley. He was a 1974 graduate of Tupelo High School and continued his studies at Northeast MS Community College where he earned an Associate Degree. He worked in electrical and was a professional Draftsman employed by Ed Byrd Engineering and lastly Cook-Goggin Engineers before his health began to fail. Scott was an avid Ole Miss fan, enjoyed hunting, fishing and gardening. During his younger years, he attended West Main street Church of Christ. A celebration of life service will be at 1:30 PM, today (Tuesday), October 30, 2018, in the Tupelo Chapel of Holland Funeral Directors with Minister Doug Greenway officiating. Private burial will follow at Lee Memorial Park. Visitation will be today from 12 noon to service time. Survivors include his mother, Charlotte Bradley of Tupelo; two sisters, Kay Martin (Bud) of Ridgeland, and Paula Turner (Freddie) of Tupelo; brother, Paul Bradley of Tupelo; nieces, Kristen Tucker (Tyler), Mary Allyson Garrett (J.D. ), Callie Martin, and Ashton Martin; nephews, Chip Turner and Bradley Martin (Shelby Jo). He was preceded in death by his father, Harold Bradley who died in 2018, and wife, Susan Bradley who died in 2012. Pallbearers will be Chip Turner, Bradley Martin, Tyler Tucker, John David Garrett, Bud Cook, and Justin Cook. Memorials may be sent to Sanctuary Hospice House, P.O. Box 2177, Tupelo, MS 38803. Condolences to the family may be posted at hollandfuneraldirectors.com. Services may be viewed via hollandfuneraldirectors.com, livestreaming at 1:30 p.m. today and for the next 60 days.